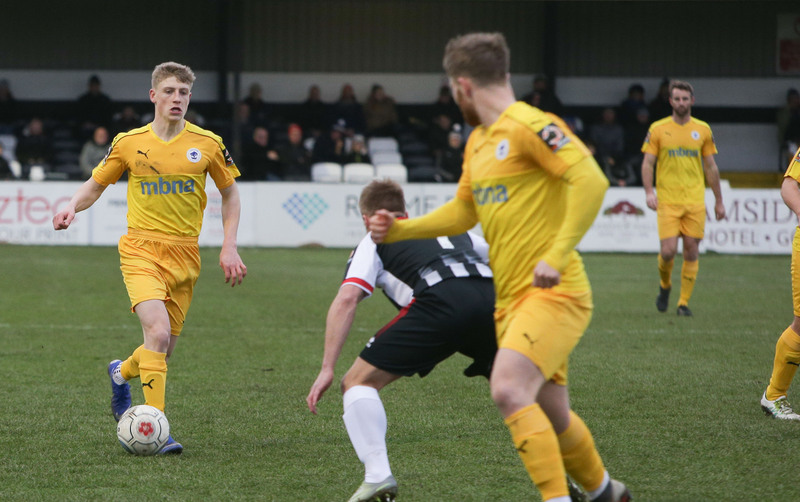 Chester fell to a second successive defeat this afternoon at the Brewery Field, as a goal in each half gave Spennymoor a big three points in their quest for promotion. Ryan Hall’s goal on the half hour mark and Glen Taylor’s deflected strike on 79 minutes sealed the win for the Moors. Gary Roberts missed a penalty on a frustrating afternoon in the North East. The Blues made three changes from last Saturday’s defeat at home to Curzon Ashton. George Waring made his debut up front, and there were returns from injury for Scott Burton and Matty Thomson. Lloyd Marsh-Hughes, Dan Mooney and Craig Mahon made way. It was a quiet start in the North East, Glen Taylor going closest for the hosts in the opening quarter of an hour, lashing a shot over the crossbar from 25 yards out. Taylor went closer, being allowed through on goal, but keeper Grant Shenton was quick off his line to deny the division’s top scorer. However, next time Spennymoor went through, they took the lead. On the half hour mark, Ryan Hall rounded up Shenton and made no mistake to open the scoring. The Blues showed an improvement in the quarter of an hour after the goal, Waring just out of reach of a dangerous Ben McKenna cross – before Simon Grand glanced wide from a well worked corner from McKenna. Their improvement in the second half was rewarded with a big chance to level on 55 minutes. Waring was hauled down by James Curtis and the Referee pointed to the spot. However, Matthew Gould guessed the right way and pushed away Gary Roberts’ penalty, with sub George Green heading over the rebound. The improvement continued in the second half, Captain Scott Burton heading just wide from Grand’s dangerous cross from the left. The left back himself had the next effort, cutting inside off the channel and rifling a shot over the bar. But the sucker punch came on 79 minutes, as the hosts put the game out of sight. A well worked move ended with Taylor firing home via a big deflection – his 17th of the season. 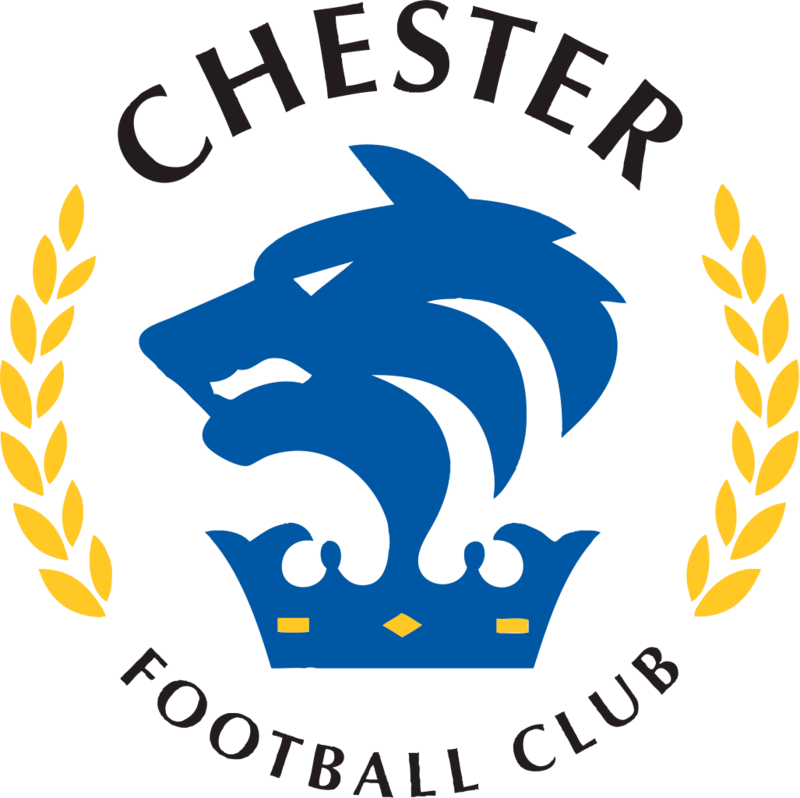 CHESTER FC: Shenton, Thomson, Livesey, Howson, Grand, Burton, McAllister, Roberts, McKenna, Jackson, Waring. SUBS: Smalley, Waters, Green, Mahon, Mooney.